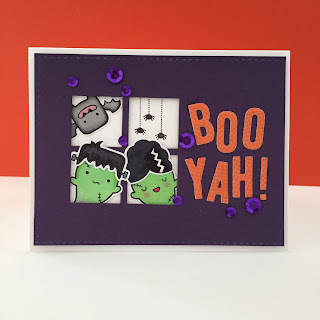 I hope you enjoyed the Stampin' Friends Everything Fall Blog Hop last month! This month's theme is HALLOWEEN! We hope you enjoy the cards and projects we are sharing with you and hope you come back next month to check out what we create to inspire you!!! If you just arrived from Kathie Rotti’s Blog, thank you for continuing with the hop! 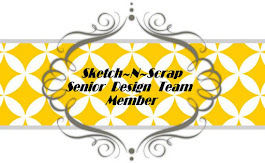 If you didn't arrive from Kathie Rotti’s Blog click the Previous button to check out her amazing creations. This month we are excited to have a couple of Awesome Guest Hoppers that you should definitely check out! Here’s my Halloween Card. I created it using Pretty Pink Posh's Stitched Duo 3 die for my window and Lawn Fawn Stamp sets and dies for the images and sentiment. And here is my Halloween Project . It's a Halloween treat box that I created using Lawn Fawn's Pillow Box die and Yeti, Set Go stamp set and coordinaying die. The colouring for both projects were done with my Copic markers. 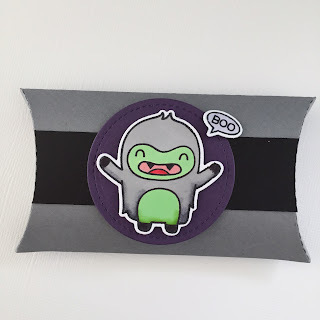 I hope you enjoyed my projects, please clicked Next to continue on the hop! 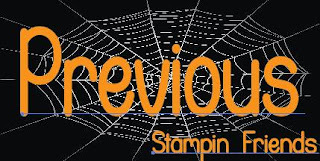 ATTENTION: We are having a draw for a $25 Stampin' Up! gift certificate this month! 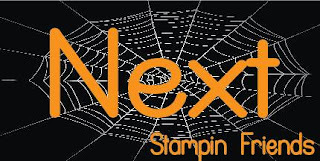 If you comment on all the hoppers' blog posts for this Stampin' Friends Halloween Blog hop, and email Elizabeth Jeanne Thatcher at happystamper508@gmail.com with the list of all the Stampin' Friend's favorite stamp sets, you will be entered into the draw to receive a $25 gift certificate through Elizabeth for Stampin' Up!. Deadline to email Elizather is midnight EST on Sunday, October 18th, 2015. MY FAVOURITE STAMP SET RIGHT NOW IS LAWN FAWN'S BOOYAH! 2. Mandy Reedyk - That's Me! Both card and Treat Pillow Box were created using Lawn Fawn products that you can purchase at the Lawn Fawn shop. I used Pretty Pink Posh die for my Card as well. Darling projects! Love the Boo Yah!! So cute! 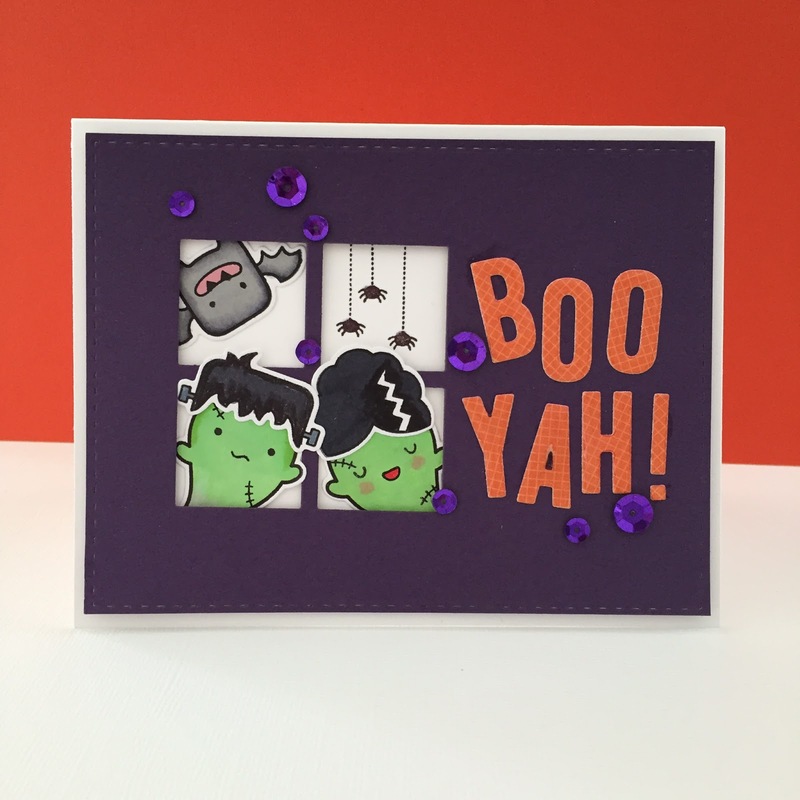 I love the Boo Yah sentiment! So cute! I love the colouring you did!! and the BOOyah! is so cute. Lawn fawn is one of my faves too. Loving the Boo Yah and Yeti treat holder! Awesome coloring on both! Such a cute card & treat holder - love that stamp! Love the little window with the cute characters showing through! Mandy! your cards are the reason why i'm such a lawn fawn fan! amazing work! I love the BOO YAH! 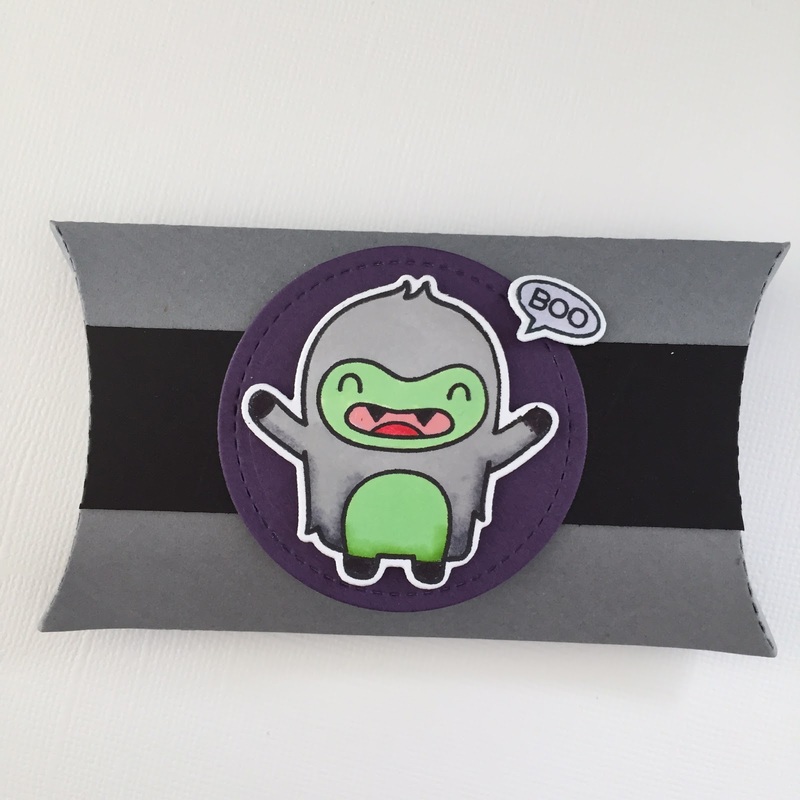 and the little guy on your pillow box is so great! You are a great colorer! Love both y poo ir project and your card! That yeti is cute! So cute! I grow more and more in love with lawn fawn all of the time. Awesome projects.....loved how you used your copic markers! Gotta love anything Halloween good work!